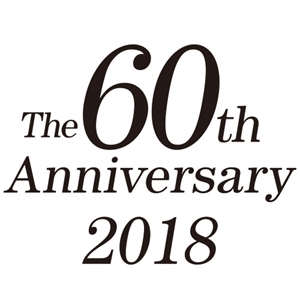 10th April 2018 marks the 60th Anniversary of the establishment of NIKKEN Kosakusho Works Co. in Japan by Mr Masakazu Matsumoto. The NIKKEN group of companies will be celebrating this milestone during the whole of this year. 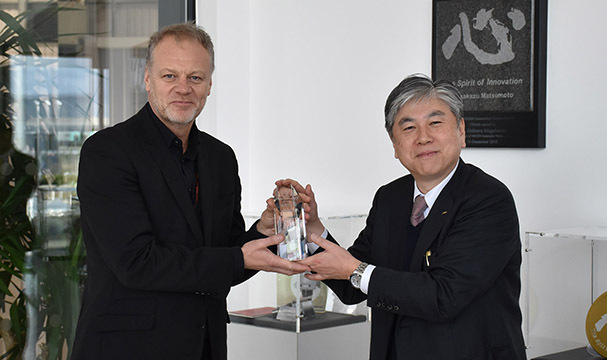 In February, the current President of NIKKEN Kosakusho Works Ltd., Mr Akiharu Nagahama, made a presentation to NIKKEN staff in the UK at the Euro Centre and NIKKEN Innovation Centre Europe – NICe, on the Advanced Manufacturing Park. The first products to be designed and manufactured by NIKKEN were the milling chuck and universal rotary and tilt manual table, the evolution of these designs has been developed over the last sixty years and remain a key part of the product range offered today. The latest variants are pushing the boundaries of performance and showcase cutting edge features including Industry 4.0 integration for smart manufacturing. When making his presentations to employees, Mr. Nagahama referred to the achievements made over the last 60 Years and how the sixtieth anniversary was the marking of the changing of an era – a clock face is divided in to 60 minutes and the natural cycle is believed to begin again, progressing to the next phase after sixty years – something that the NIKKEN Group of companies are poised to do with a number of exciting projects currently in the pipeline.